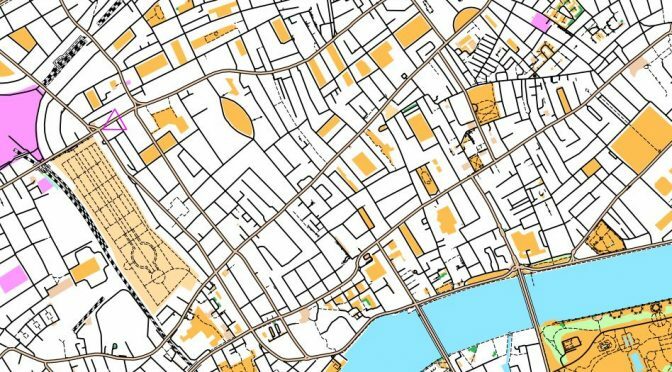 The fourth race of the 2018-19 season of evening street orienteering races around London will be held in West Hampstead, north-west London. A great opportunity to visit a new part of London you might not have been to! The Alliance is at 40-42 Mill Lane, London NW6 1NR. It’s about a 10-15 minute walk from West Hampstead Station (Jubilee-Overground-Thameslink) and there’s a bus from the station that stops just in front of the pub (C11). The fifth race of the 2018-19 season of evening street orienteering races around London will be held in Ealing (West London), This is a new area and a great opportunity to get start your 2019 orienteering. The Castle Inn is at 36 St. Mary’s Road, Ealing, London, W5 5EU. It’s about halfway between Ealing Broadway mainline train station (for trains from Paddington) and South Ealing tube station (Piccadilly Line). The 65 bus stops right outside the door and connects both of these stations as well as continuing onto Richmond and Kingston. 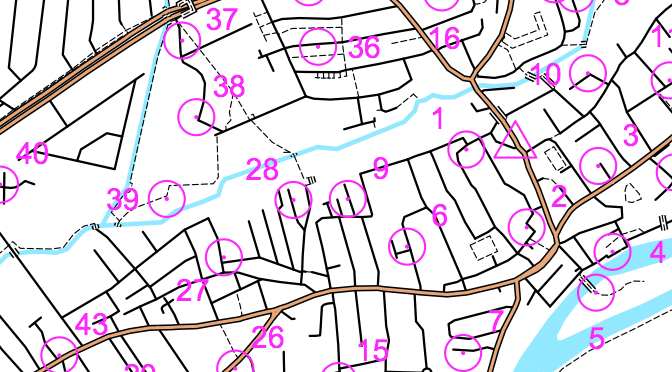 Last night saw the third race in our Street Orienteering Series, courtesy of Dave Wright and Fran Kenden. You can find the Race Results and Series Results (after 3 races). Dave says: “I hope you enjoyed your visit to the various corners of Teddington, and, for some of you, Ham as well. I only expected about 60 entries but in fact there were 82, with a total of 96 participants (due to pairing). My plan was always to tempt faster runners to cross the river to Ham but for clearing the course on the Teddington side to in fact be the better strategy. Pleasingly the winner, Steve Clelland, did not venture over to Ham. 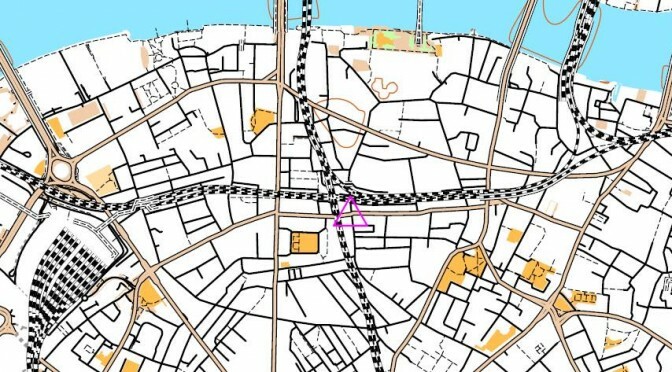 An additional planning issue was to ensure that those with local knowledge would not gain by venturing off the map to cross the river at Kingston Bridge. I’d discounted the possibility, mentioned by one participant, of swimming across! Our next race will be on the other side of the river in West Hampstead on Tuesday 11 December and details will be available shortly. Thank you to our friends at London Orienteering Klubb for organising a great Street-O around London Bridge (familiar to many from this year’s City Race)! I’m sure many of you will have already seen the Results which include a SLOW 1-2-3 led by Ed Catmur. SLOW also had the fastest woman with Vinh Hoang (organiser of September’s race) taking the title. Series Results will be published after Race 3 in Teddington on 13 November – hope to see many of you there. Here are the Results from the first Street Orienteering race of the season held last night around West Norwood. Many thanks to Vinh-Phuong Hoang for planning one of the most fiendish courses of the last few years, keeping runners on their toes the entire time! In the end, James Fraser won by a whisker with the first 5 men separated by only 16 points, while Rebecca Dal Bon was top woman. Vinh will bring uncollected maps to the next race, organised by our friends at London Orienteering Klubb around London Bridge on Tuesday 9 October (details to follow). There is also lost property of one male black belt, which you can claim by emailing me as below. Join us for the Season Opener of the 2018-19 season of evening street orienteering races around London. On Tuesday 11 September, we’ll have an evening of checkpoint hunting & post race chat, food and drink in West Norwood – a brand new area for Street racing! The Great North Wood is at 3 Knights Hill, West Norwood, London SE27 0HS. It is right next to West Norwood train station or a 15 minute walk from Tulse Hill train station. Numerous bus routes also pass close to the pub. See www.tfl.gov.uk for further details. Trains to West Norwood from Victoria take 22 minutes, and fast trains from London Bridge take 23 minutes. Entry fees for 2018-19 are still being confirmed but it won’t be more than £3 for SLOW and LOK members, students and juniors or £5 for others. Don’t forget to bring a pen to write down your answers to the clues as you go around, an SI card if you have one, and a watch so that you aren’t late back! You may find a torch/head-torch and compass useful too, although many don’t take one and it should be light enough for everyone for this event.